Detachable high-gain amplifier (powered by XJacKer) dramatically enhances your gaming, music, cinema, and chat/VOIP experience. Dynamic full-range 40mm Neodymium drivers for deep punchy bass, crystal-clear highs, and everything in between. Generously-padded circumaural ("over-the-ear") ear cups and headband for amazing fit and comfort during extended wear. 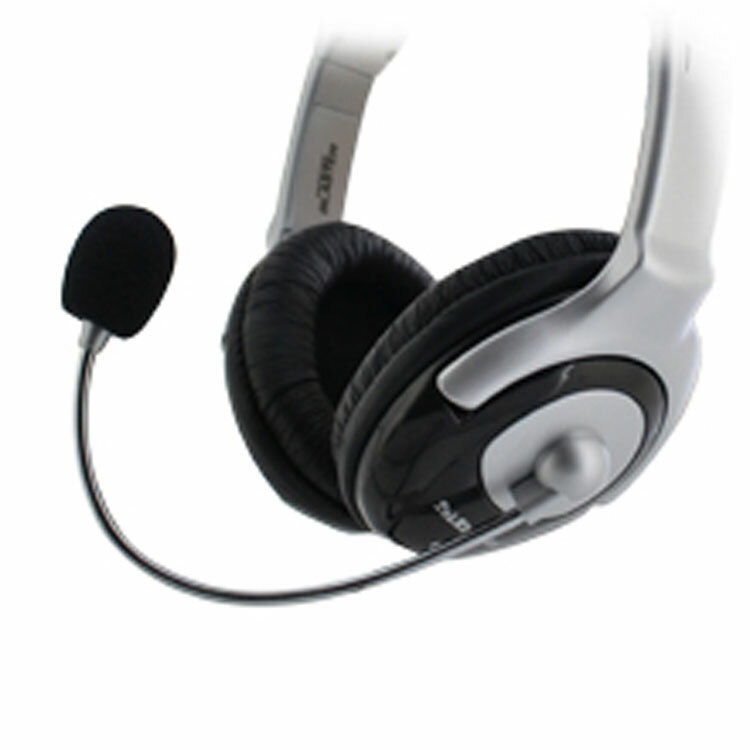 Ultra high-sensitivity microphone ensures accurate sound pickup for chatting (VoIP), gaming, voice recognition, transcriptions, language learning, etc. Standard 3.5 mm jacks and multiple adapters (included) provide maximum compatibility with multiple platforms: PC, Xbox 360, iPod, etc. Introducing the TekNmotion Yapster Blaster amplified universal headset! Featuring the latest version of TekNmotion's legendary Yapster universal headset - and powered by award-winning XJacKer amplification technology - the Yapster Blaster delivers full dynamic range and unparalleled performance above and beyond any other headset in its class. Enjoy excellent bass response, warm and lush mids, and super-crisp highs in all of your games, music and movies with Yapster Blaster's 40mm Neodymium drivers (20 Hz ~ 20,000 Hz). Experience every sonic detail and nuance thanks to the Yapster Blaster's new USB-powered amplifier – designed specifically and exclusively for the Yapster Blaster by XJacKer. Chat, VoIP and record your voice with perfect clarity using the Yapster Blaster's unbelievably sensitive microphone (-59dB) and always be heard. 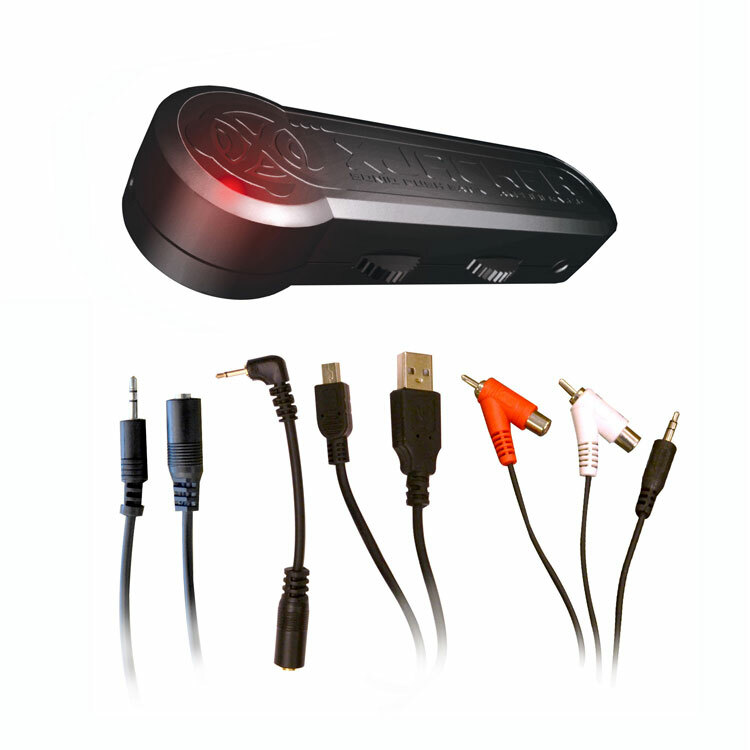 Plus, you can use your new Yapster Blaster - right out of the box - on your PC/laptop, Xbox 360, Playstation 3, Wii, OnLive, DS, PSP, and more thanks to it's included audio adapters. Your new Yapster Blaster will deliver where competing headsets fail utterly and miserably. Featuring premium 40mm Neodymium (Nd2Fe14B) drivers, powered by a custom-engineered XJacKer Soniq Rush Class A/B amplifier, the Yapster Blaster faithfully reproduces the entire range of audible frequencies in a brilliant, blissful and balanced configuration. You'll hear (and feel) deep, tight, punchy bass tones - not the loose and muddy droning bass found in inferior headsets. You'll experience a warm and life-like midrange, perfect for picking out friendly chat and enemy footsteps from background clutter. And you'll hear super-crisp but realistic highs - not the screeching and piercing needles that lesser headsets try to pass off as treble. In short, "the sound is rich, full-bodied and in a word...superb. I don't think my Xbox  games have sounded this good" says Christophor Rick, Editor-In-Chief of GDN. Communication is critical to multiplayer success - every true gamer knows that! This is why every Yapster Blaster features an unbelievably-sensitive, ultra-flexible and pop-reducing mic. At -59dBs of sensitivity, your team or clan will hear every callout, every sniper warning, every change in battle plan, and every situational awareness update you make. After all, your teammates aren't psychic, and they depend on your communication as much as you depend on theirs. Remember, if you're not playing well with others, you're just playing with yourself. Gaming Isn't Everything...WHAT YOU SAY?! And when you're not gaming (is that even possible? 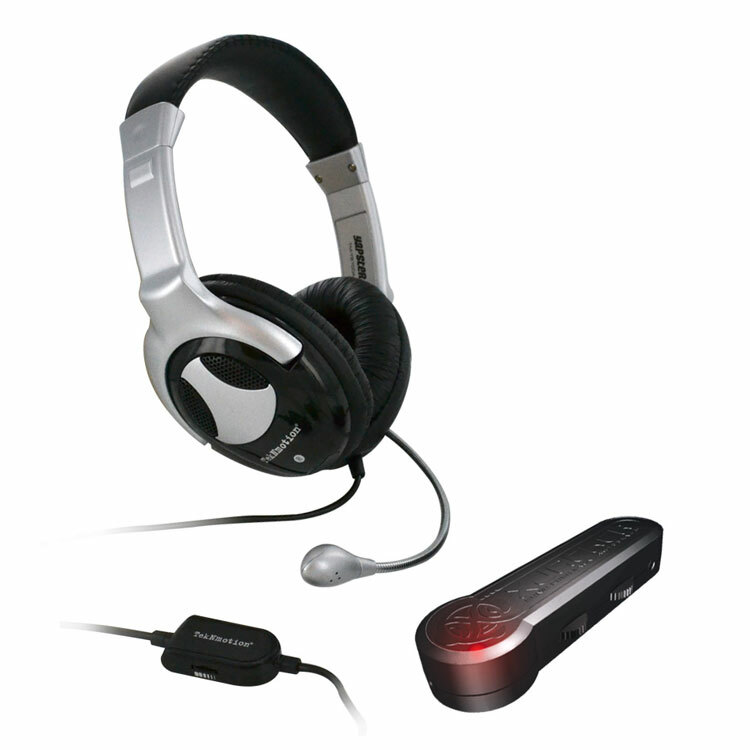 ), your new Yapster Blaster pulls double duty as a truly excellent all-purpose headset. Its perfect for VoIP (Skype™), voice recognition & transcription (Dragon NaturallySpeaking™), language learning (Rosetta Stone™), YouTube™ video narration, and so much more. If you buy your new Yapster Blaster within the next 30 minutes (because you know we can't do this all day), you'll be able to use your new Yapster Blaster right out of the box on your Xbox 360, PC, Mac, laptop or netbook. And using the included cables and adapters, your Yapster Blaster is also a brilliant pair of USB-powered amplified headphones for your Playstation 3 (PS3), Wii, OnLive, TV and more. In fact, no other headset in its class can even come close to matching the Yapster Blaster in flexibility or versatility.